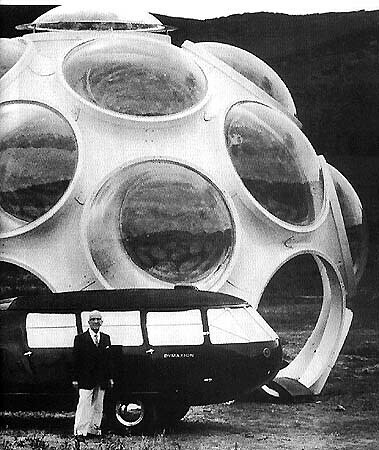 I believe everyone here is familiar with Buckminster Fuller and his Dymaxion World concept. Born in Massachusetts in 1895, Fuller set out to live his life as (in his own words) "an experiment to find what a single individual can contribute to changing the world and benefiting all humanity." 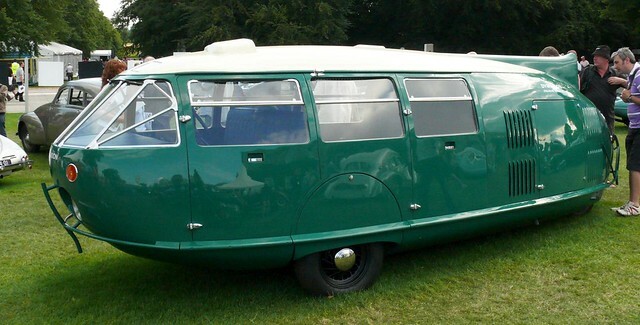 After making up the world "Dymaxion" he took the word as his own personal brand. Among his groundbreaking creations were the geodesic dome and the Dymaxion house, which was made of lightweight aluminum and could be shipped by air and assembled on site. 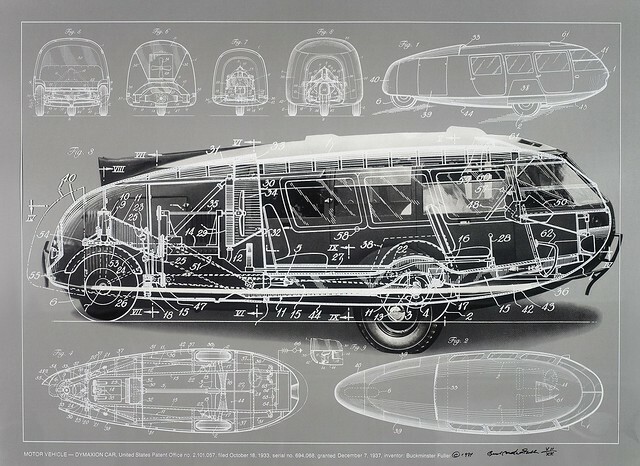 In 1927, Fuller first sketched the Dymaxion car under the name "4D transport." 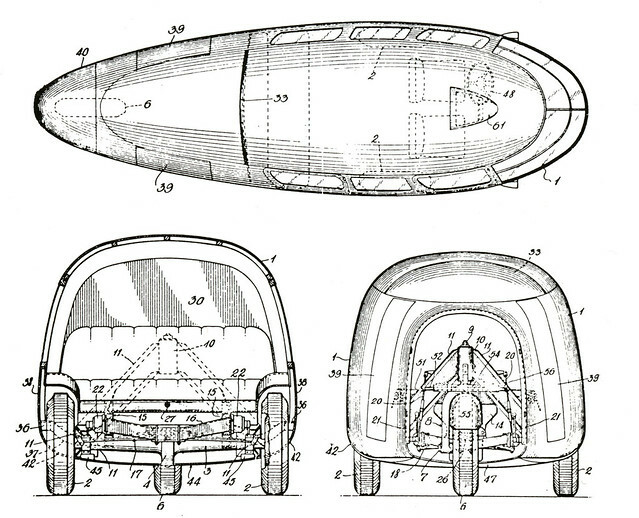 Part aircraft, part automobile, it had wings that inflated. Five years later, Fuller asked his friend, the sculptor Isamu Noguchi, to make more sketches of the car. 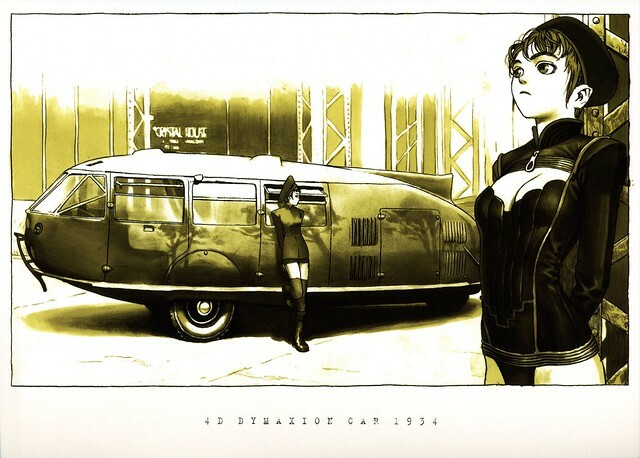 The result was an elongated teardrop design, with a rear third wheel that lifted off the ground and a tail fin. 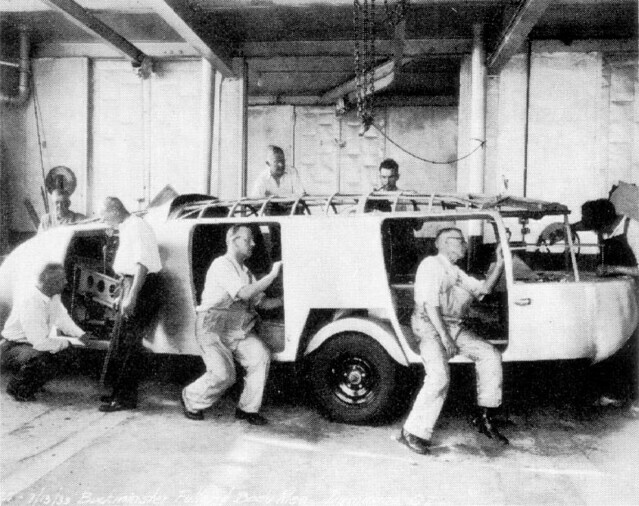 Fuller set up production of the Dymaxion car in a former Locomobile factory in Bridgeport in March 1933. 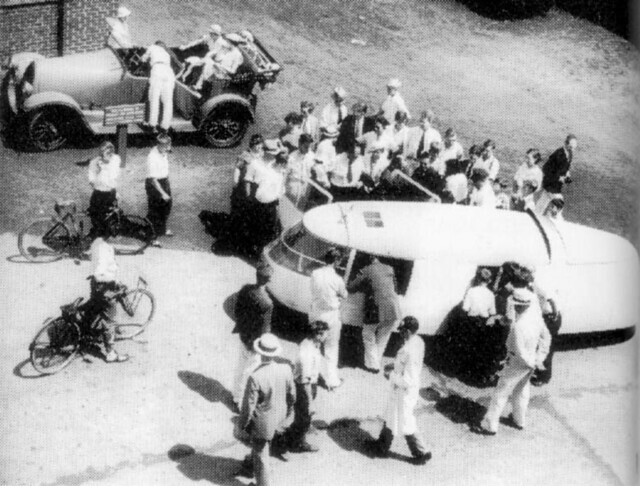 The first model rolled out of the Bridgeport factory on July 12, 1933 - Fuller's 38th birthday. 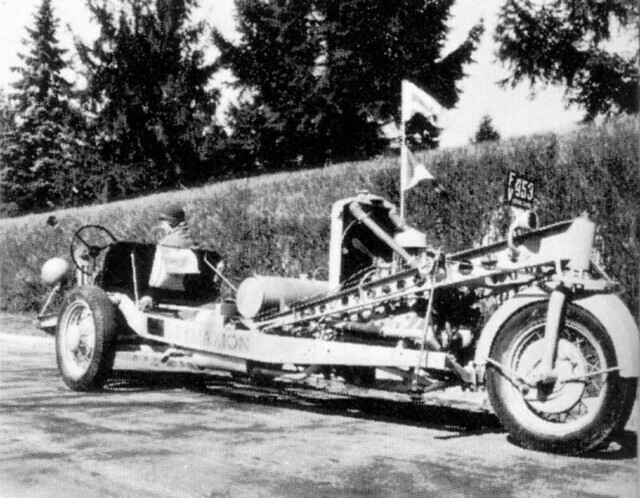 It had a steel chassis (or frame) and a body made of ash wood, covered with an aluminum skin and topped with a painted canvas roof. 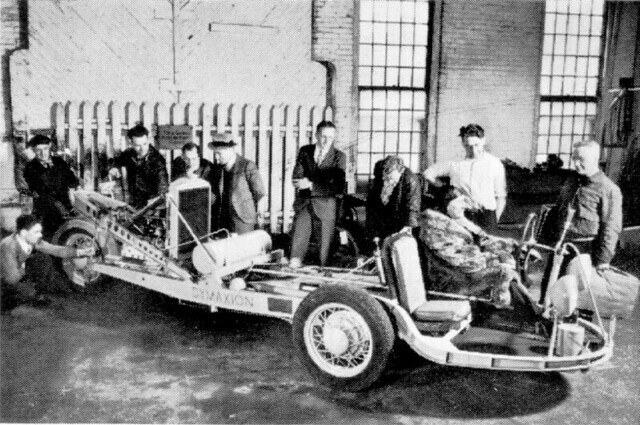 It was designed to be able to reach a speed of 120 miles per hour and average 28 miles per gallon of gasoline. 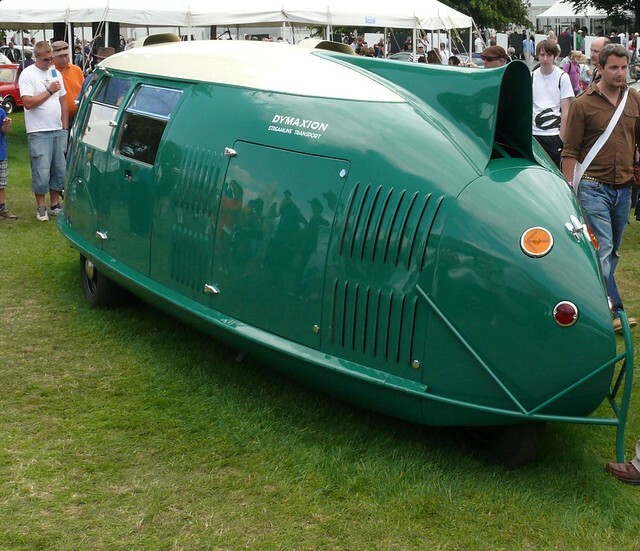 Along with the Nazi-built KdF-wagen (the forerunner of the Volkswagen Beetle), the Dymaxion was one of several futuristic, rear-engined cars developed during the 1930s. 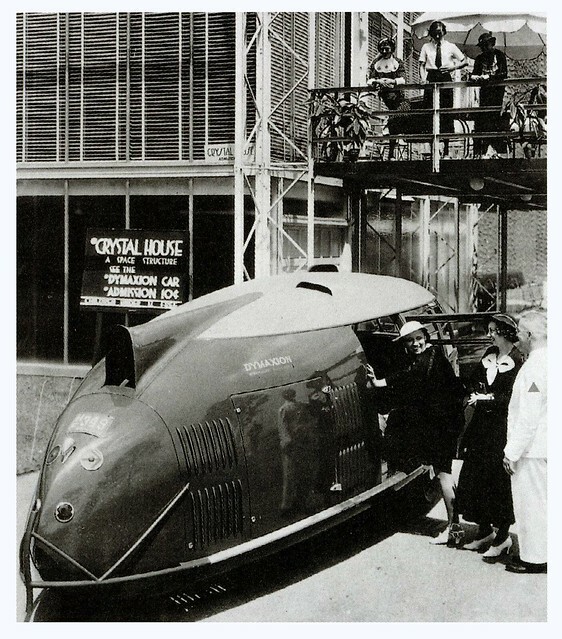 Though it was never mass-produced, the Dymaxion helped lead to public acceptance of new streamlined passenger cars, such as the 1936 Lincoln Zephyr. 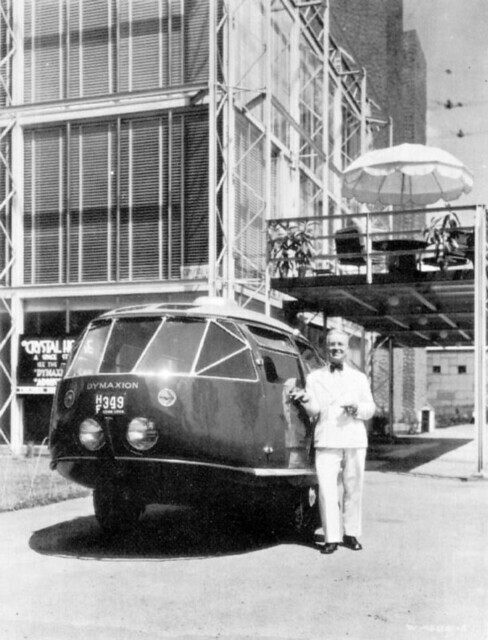 In 2008, the only surviving Dymaxion was featured in an exhibit dedicated to Fuller's work at the Whitney Museum of American Art in New York City. 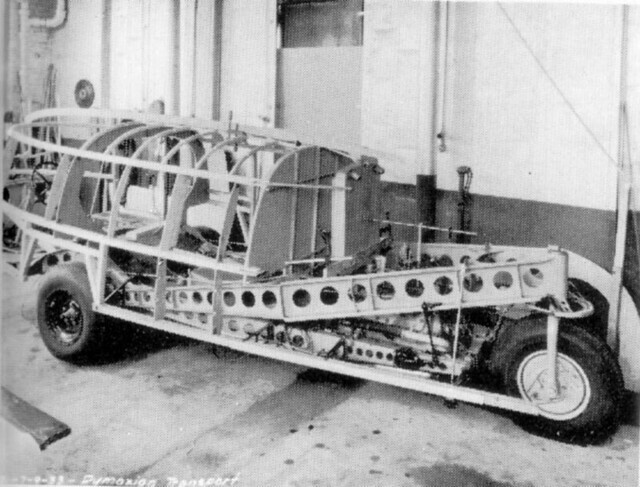 An article published in The New York Times about the exhibit recalled Fuller's own impressions of the Dymaxion: "I knew everyone would call it a car," he told the literary critic Hugh Kenner in the 1960s; instead, it was actually "the land-taxiing phase of a wingless, twin orientable jet stilts flying device. " 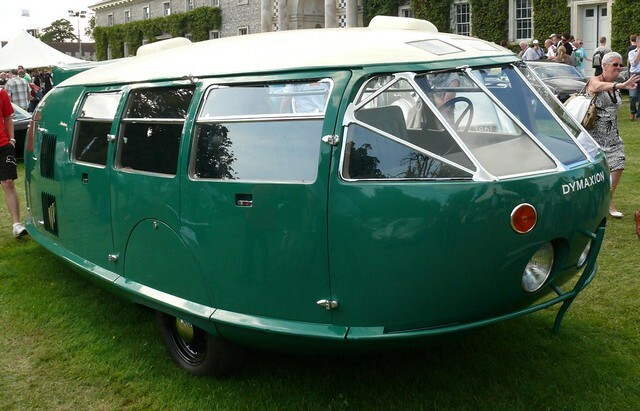 Regarding Norman Bel Geddes: he designed a number of vehicles including an eight-wheel intercity coach. None were built. 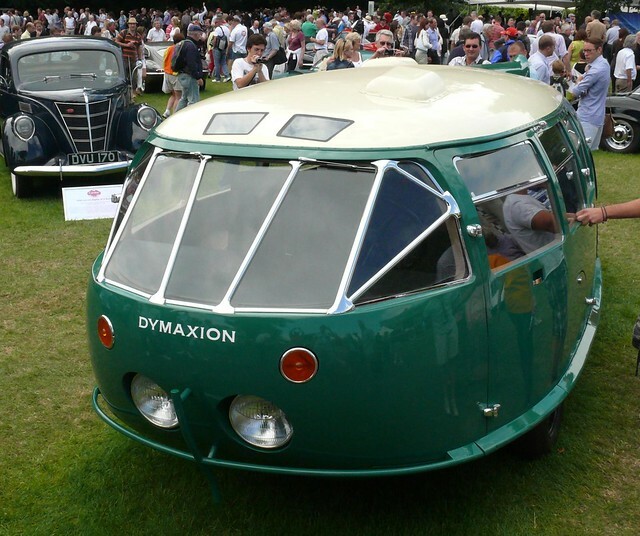 I saw the last Dymaxion car once, at the Museum of Modern Art, also in Manhattan. I don't remember it really well because I was only ten or eleven years old, but as I recall, it wasn't restored at the time and was in pretty rough shape, looking like it had been rotting away in storage for many years. They did have a tendency to flip over— and a driver did get killed, which put an end to the project for good. Norman Bel Geddes designed a similar teardrop-shaped car at around the same time (four-wheeled), but I don't think any were ever built. He should have made a four wheeled version. Three wheelers are too prone to flip during sharp turns. She's an awfully pretty ride, though. He had some ideas, boy. I'm especially interested in his house.